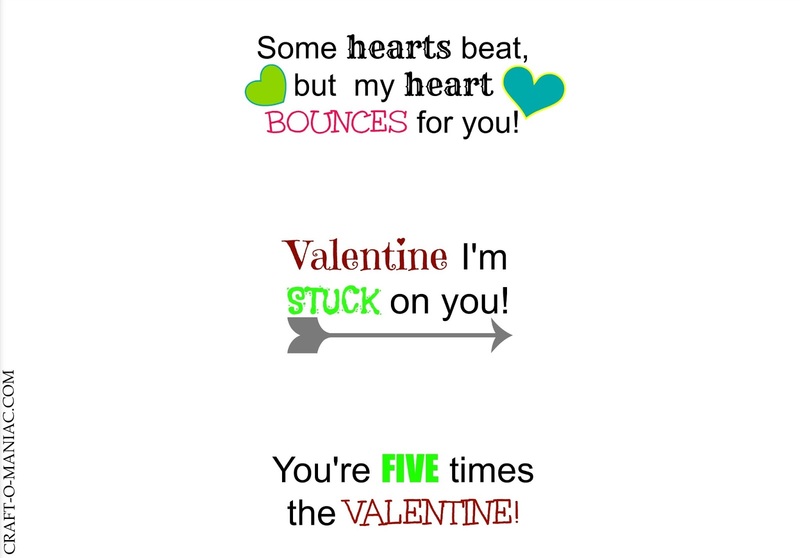 Hello there today I am sharing with you some Valentine Cards, I made for my daughters class and my sons class. I wanted to do something fun and something away from the traditional candy card, but it had to be something kids love too. My kids adore bouncy balls and sticky hands. 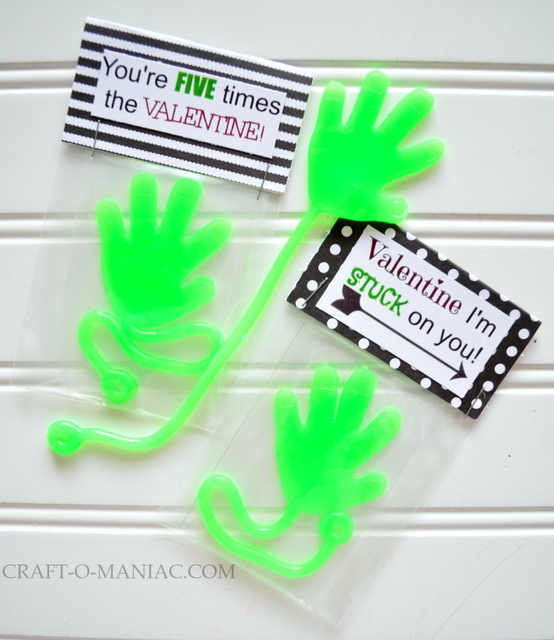 In fact both my kids wanted the sticky hands, so it was a bit of a fight at first. (I had to talk up the bouncy balls to my daughter. Aren’t us moms good at that?) Eventually they were both pleased with their Valentine Cards they would be handing out. I hope that the kids in their class enjoy the Valentine Cards as much as Preston and Bella do. How To: I created my text for the Valentine Cards in Pic Monkey then saved the image in a matte finish under Walmart photo.com and had a 5 x 7 printed up. I then took the image down to our local town printing/coping/and paper store and had copies made up. I cut out each saying and with my tape runner adhered the sayings to some cut to size, and folded over card stock paper. I filled the baggies with the sticky hands and bouncy balls and stapled the folded paper to the bags. Tip: keep the sticky hands on the clear plastic they come on. They also have another layer of plastic over them. I cut right through the plastic and just adjusted the sticky arm on the plastic backing to make sure it would fit into the bag. I also used some of the plastic bag that they came in to go over the tops of the hands. You will use up any and all plastic/wrap they come with. My kids are excited, and I am excited they are out of the way. here are the bag toppers. I printed out one 5 x 7 sheet from Walmart’s photo lab and then had copies made at a nearby copy/print shop. Right click your mouse and save image as, then print it or upload it to be printed. I hope these Valentine Cards inspire you or help you out this Valentines. 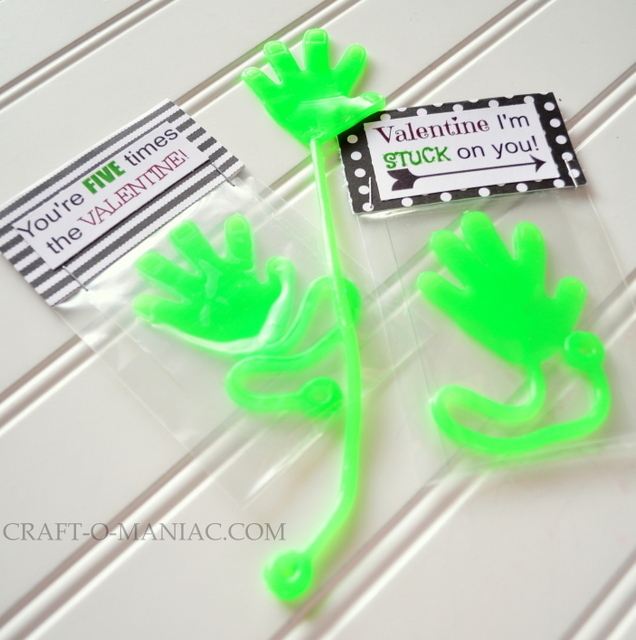 Happy Valentine card making, and Thank you tons and bunches for stopping in today. These are the greatest! I love so much that there is no candy!! Fun, fun, fun!! My daughter loves those sticky hands. Very fun idea! Love them So fun! I’m putting together ours too :0 Also non candy…yay! 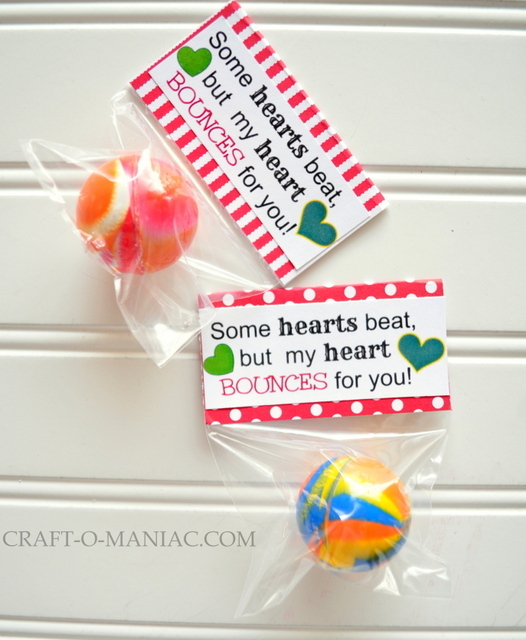 Jen, these are THE CUTEST valentines ever!!! I love your blog and appreciate your talent!! Love the valentines you made, Jen!! I enjoy your blog and appreciate your talent!!! I love noncandy treats – these are perfect! Thank you so much for sharing – this is great! 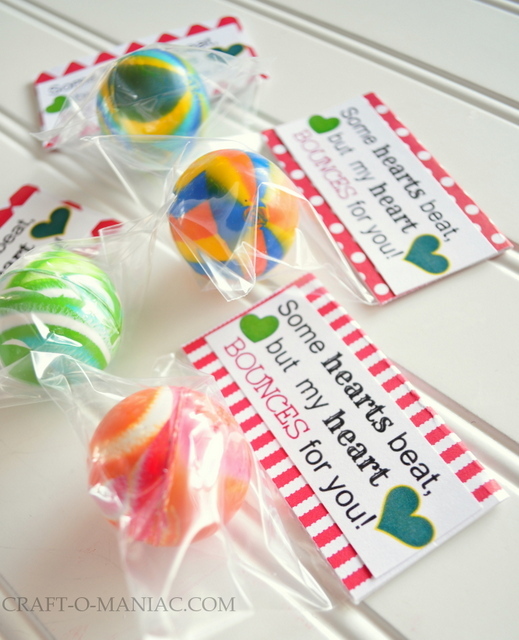 We shared your idea on our dental blog along with other sugar free Valentine ideas. I love the “no candy” ideas for Valentines! I am sharing your link on our website http://www.smallchangesbigpicture.wordpress.com We post links to sites that we like every weekend…yours is one of them this week! It will be out there Saturday. 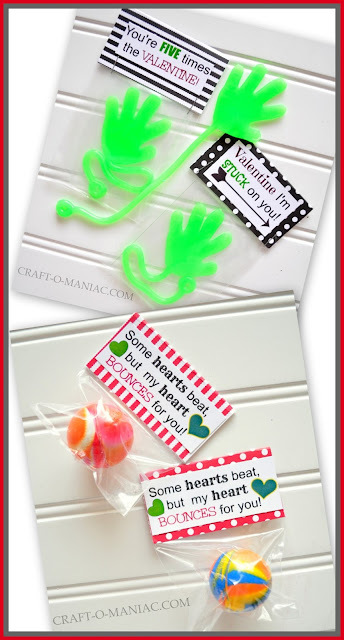 We are featuring FOOD FREE and CANDY FREE valentines this year at our http://www.holiday-kids-crafts.com/valentine-craft-ideas-candy-free.html page. Your bouncy balls and sticky hands were voted part of our top 15! Thanks for sharing! Is there anyway we can get a copy of your sticky hand saying? Just not feeling up to making my own….